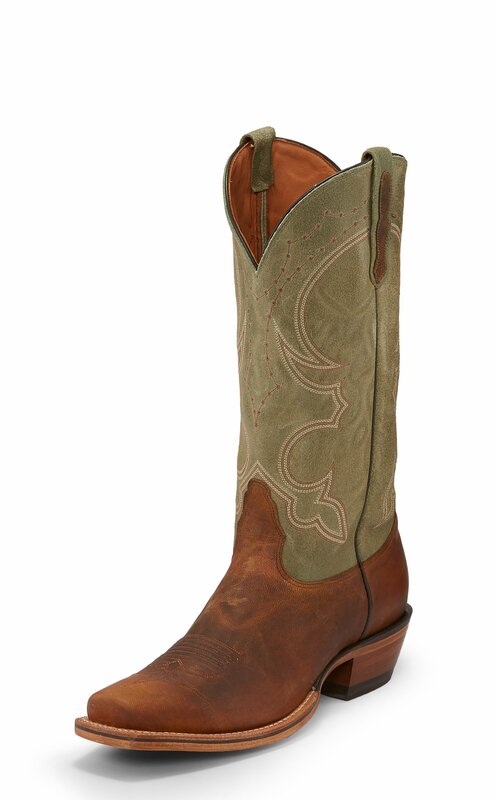 Timeless and handsome in a natural palette of sage green and brown, the 13" Talli boot from the Legacy Collection features refined stitching and a beautifully distressed Weathered Ram foot. It's designed with a cushion insole for comfort and is finished with a Nocona half moon toe and a 1 1/2" underslung heel that's ready to ride. This style is proudly Made in the USA with global parts.